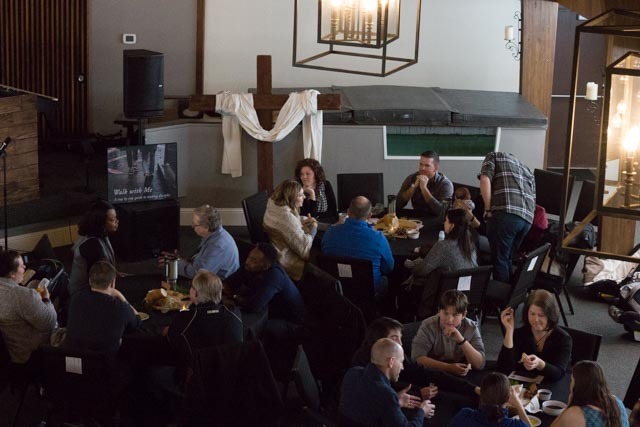 SCF is an inclusive community where people are invited, equipped, empowered to worship and follow Jesus. A church that's engaged in the everyday life, where real people encounter a perfect God. Authenticity is welcomed! The Bible is God’s record of what happened from the beginning of time. It helps us see who God is, who we are, what we were made for, how this world got the way that it is, and God’s plan to make things right. We are comforted, convicted, challenged, and changed by what it contains. We believe it is 100% true and 100% accurate, and that it will change our lives for the better if we will let it. God is our loving creator. He is active in our world today and is the preserver of all truth. He has gone to incredible extremes so that we can have a great relationship with Him and one day He is going to take His followers home, where we will spend the rest of eternity with Him. We understand from the Bible that He created all that there is and that He is the ultimate source of power, truth, and freedom in life, and that God is ON OUR SIDE. God is the best Father we could ever hope for. Jesus is God’s one and only Son, who was personally willing to leave the perfection of heaven to come and live on Earth as a man and then to willingly give His life as a sacrifice to pay for our sins. His life was so pure and holy that death couldn’t hold Him in and He came back to life (was resurrected) three days after He died on the cross. The next time Jesus comes, it will be with power and to set all things straight and heal what is broken. Jesus’ teachings are the most important tool for us in navigating this life in a way that pleases God and ends up with us winning in the end. The Holy Spirit is the help that Jesus promised to send to us after He left earth. The Holy Spirit is part of God and actively works to lead us back to Him and help us stay on track seeking and honoring God. He empowers us to do things we couldn’t do on our own, like forgive, love, believe, and serve. We were made complete, but we got broken when we chose to do life apart from God. That brokenness is called sin and it separates us from God and messes up our lives both now and in the future. No matter how hard we try to fix things on our own or how good we try to be, there is no way for us to make things right with God on our own. God was the One who did what it took to fix things. He and Jesus agreed that Jesus would die to take the penalty for our sins and restore us to God. When we accept Jesus as our replacement and commit ourselves to living for Him, God sees us as restored to the way He made us to be. The Church is Jesus’ idea for gathering all those who believe in who Jesus is and what He did so that we can strengthen each other and help more people get right with God. It is a family of imperfect people serving a perfect and holy God. The Church is the body of Christ on the earth and God's design is that all followers of Jesus are a committed part of a local church. The authority of our ministry originates and concludes with the Word of God as we submit ourselves to its teaching, commit ourselves to do what it says, and yield our lives to become what Christ desires us to be. Understanding man to be God's most significant creation and realizing Christ's mission was and is to eternally redeem the spirit of every human being, our investments shall foundationally be in people. We recognize the family as God's ordered pattern for our lives. We realize the significance of the home in the Christian life and development. Therefore, we shall be committed to strengthening the spiritual lives of families as they seek to build their homes on the solid foundation of Jesus Christ.